After dealing with an injury in last year’s postseason run, Steph Curry is hoping to avoid injury in the Golden State Warriors’ Western Conference Finals matchup with the San Antonio Spurs. The two-time MVP had a chance to review the tape of Game 3 and he called out Spurs guard Dewayne Dedmon, accusing him of setting an illegal screen on him late in the contest. 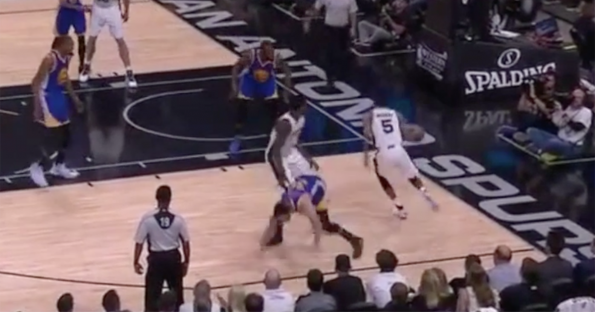 The replay showed that Dedmon clearly bent his knee, possibly in an effort to hurt Curry. Warriors acting coach Mike Brown agreed with Curry’s sentiment, stating Dedmon was lucky to get away with setting that illegal screen.